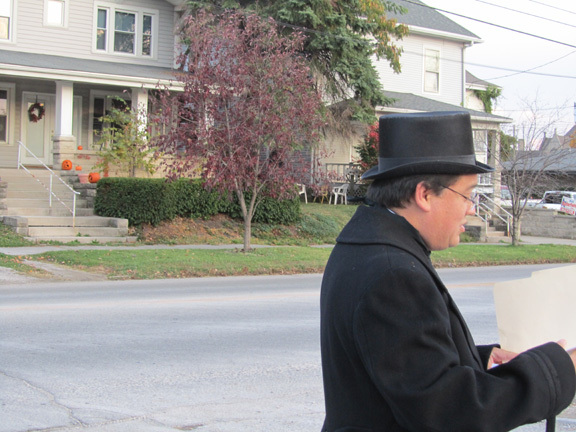 An Oct. 28, 2011, reenactment tracing Schafer's footsteps on the night of the Jan. 22, 1904 murder. The rooming house on 13th and M Streets in Bedford was owned by Mrs. Addie Smith and is where Schafer and her roommate, Eva Love, lived in 1904. Smith is portrayed by Annette Taylor. 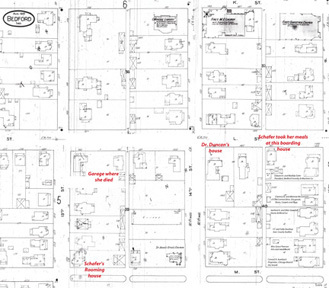 Schafer took her meals at a boarding house located at 1411 L St. which was run by Mrs. Johnson. Johnson was portryed by Lisa French. Larry King portrayed Capt. John Alexander, the man who roomed at 1403 L St. (The Windstanley house) and who talked with Schafer that night as each walked after dinner from the nearby boarding house. Alexander is thought to have been the last person (except the murderer)to see her alive that evening. Jim Buher portrayed Dr. Duncan. 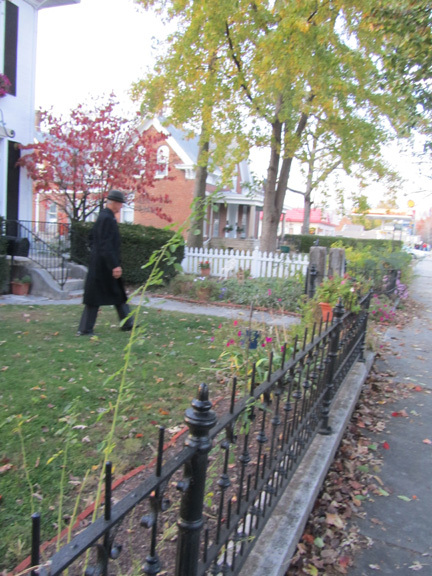 Schafer called on Dr. Duncan at 1401 L St. for treatment of a minor illness. The alley between 13th and 14th where Sarah Schafer's body was found by William Cook on the morning of Jan. 22, 1904. She had been on her way home after having dinner at a nearby boarding house. The part of Cook was played by Greg Baker. Lewis Maudlin played the part of Deputy Prosecutor Eli Stephenson. Drew Stewart portrayed James McDonald, alias William Parsons. McDonald went on trial, but was not convicted. The part of Joe Heitger was played by Aaron Baker. Heitger had been an a student at Indiana University and was from a prominent local family. 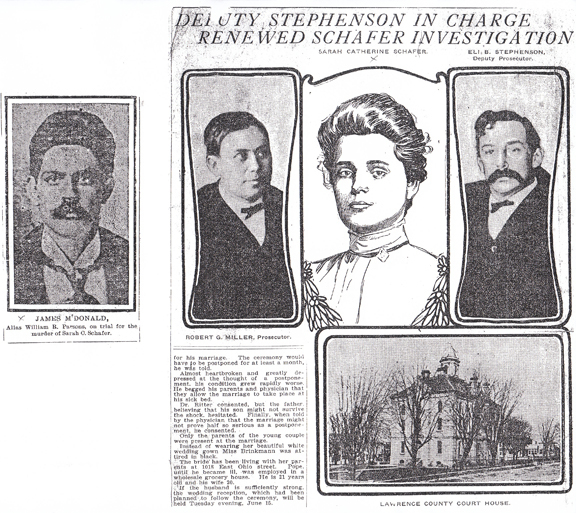 Heitger was a briefly a person of interest in the Schafer case.